This is another good book to read by anyone .. special Sobhaa De kind of book .. if you are fond of her writing “Spouse – The truth about marriage” will please you for sure.. 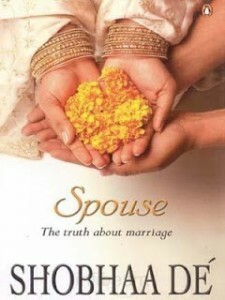 This book is all about managing your relationship with mother in-laws , perfect marriage, perfect in-laws and other thing.. it is kind of good for anyone who wants to read about marriage and relationship etc. I have this book in my library.. if anyone wants to read this book. I want to share this book .. 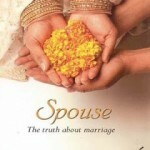 Someone has written good review about Spouse.